CAPA students* will get a chance to experience more of the local culture through this partnership. 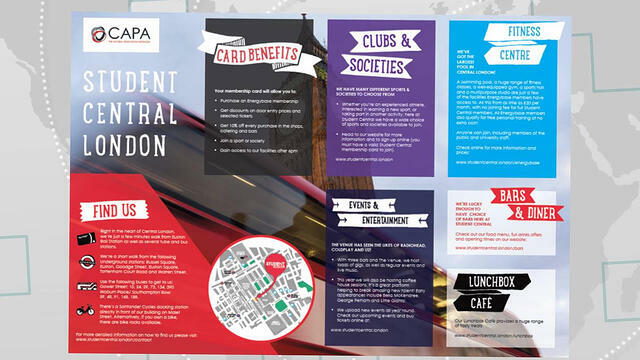 CAPA students* will receive a membership card when they arrive, already loaded with £10 that can be spent anywhere in the Student Central facility. Events include everything from karaoke to quiz nights to live music (past acts at The Venue include the likes of Radiohead, Coldplay, and U2). More intimate Coffeehouse Sessions have recently been added into the events calendar, with an aim to break in new musical talent. 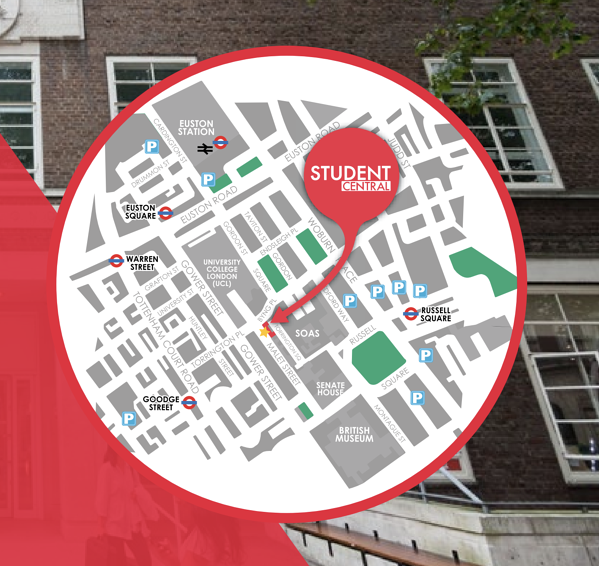 Student Central is located not too far from our CAPA London center. There are several places to eat, including the Lunchbox cafe which has a variety of foods, from sandwiches to their famous giant baked potatoes with fillings to sushi and of course, cakes and coffee. They also have free wi-fi for those in need of a working lunch, or an Instagram fix. Sports fans will be pleased to hear about The Library, where live sports are screened all year round and there are several pool tables for entertainment there too. There are many activities students can take part in from sports to general interest groups. One of the best perks of memberships is that there are over 40 clubs and societies students can join which span a range of interests from dance (breakdancing and dancesport), to field sports (cricket, lacrosse, and athletics) to general interest (art, Harry Potter, and a Legal Forum) to music (jazz and orchestra) to several different religious groups and other outdoor and water-based sports and activities. Self-defense, lifeguard, and first aid courses are available too. There are even several organized “Challenges” students can sign up to take part in with a group, such as climbing Mount Kilimanjaro or cycling across India. How would you like to experience student life in London? 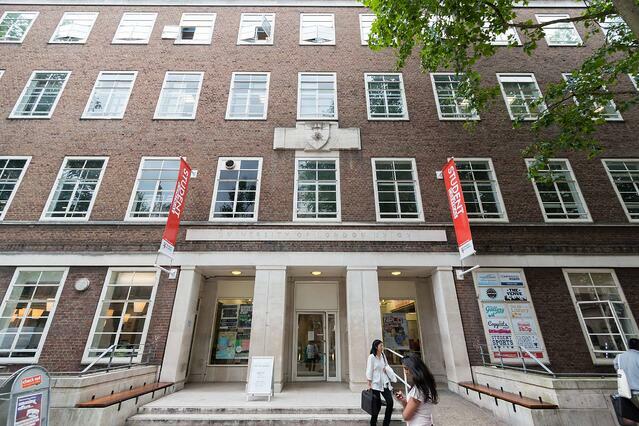 Perhaps the biggest benefit of Student Central membership is simply having an invitation to join a huge community of international students along with the ability this space allows for students to carve out a more personalized, authentic London university experience. *Currently Student Central services in London are available only to CAPA students participating in Fall & Spring semester-long programs.